Even though the past few days have been pretty wet, windy and nasty, the overall mild winter and early spring weather should allow us to get out on the water a little earlier than usual. It might be a little chilly and/or rainy, but the big thing around here is always the wind and it looks like it’s going to be decent weather and light winds tomorrow, so we are going to see if the smallmouth bass are moving around yet. The water in the Columbia River is still on the cold side, maybe 49° or so, usually we like the water to be in the mid 50’s for bass fishing, but it’s worth a shot. 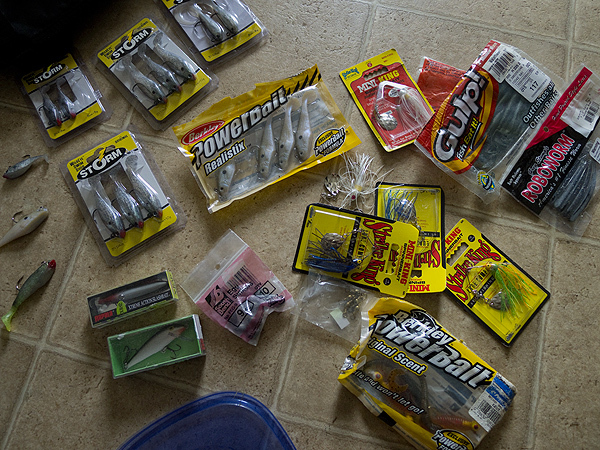 Got all the licenses and permits in order and started going through the fishing gear. You can fish for smallmouth bass all year long, trout in the spring and early summer and salmon later in the season so all the tackle is grouped by the fish we are going after. We’ve had success with spinnerbaits, plugs and especially swimbaits around here, we’ll get into it with more detail in the days to come. Next, we got the kayak out and made sure that everything was good to go. 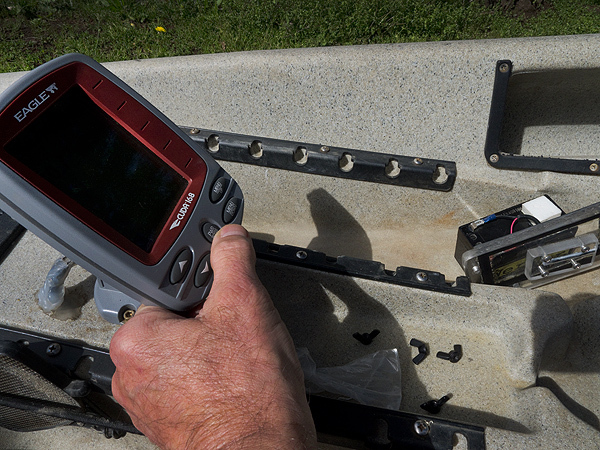 Checked the fishfinder to make sure it still worked and all the connections were good. This Eagle is getting kind of old, I might have to look into a newer model. Got everything ready to go and loaded the kayak and all the gear on the trusty kayak cart. 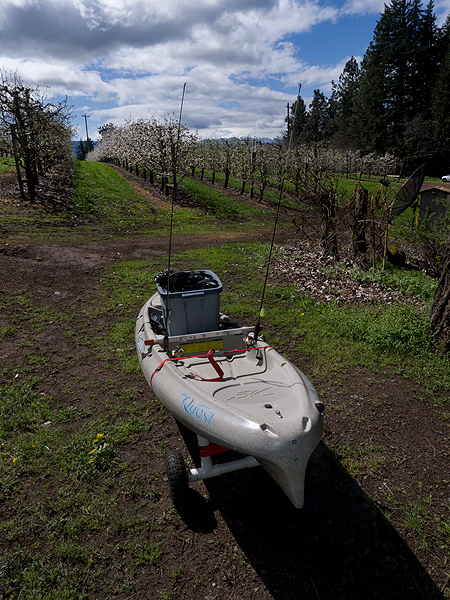 Most kayak fishermen need a cart to get from their vehicle to the water, I need mine to get the kayak down my dirt driveway because it’s too muddy to get the truck up the hill! Everything is loaded up and we have our fingers crossed that the wind dies and stays dead all day tomorrow.